80, there are 5 legal documents that you must have in place to protect you in the event that you become incapacitated or die unexpectedly. These include a financial durable power of attorney, a healthcare power of attorney, and a living will. 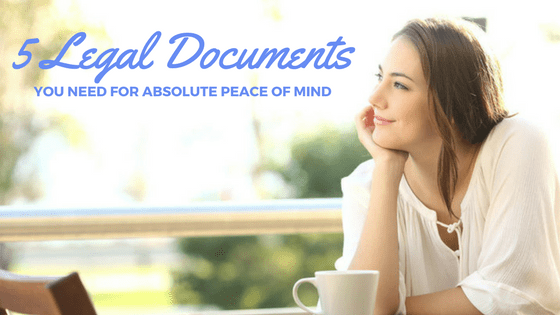 These documents include a financial durable power of attorney, a healthcare power of attorney, a living will, your basic will, and temporary guardianship paperwork (if you have children). Many of you may know Hal – he is a well-known motivational speaker and author. 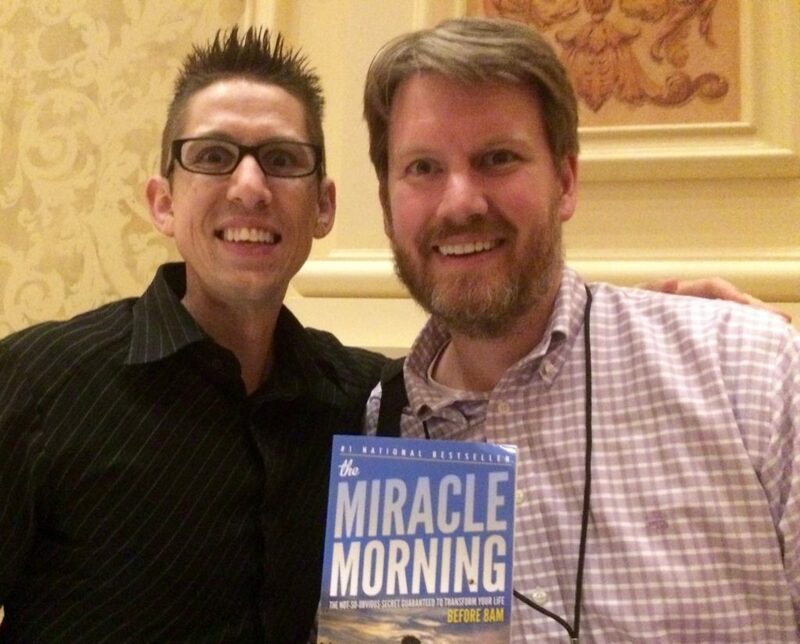 He developed the idea for and wrote the book called The Miracle Morning (affiliate link). I had the privilege of meeting Hal at an event in Las Vegas in 2015. When Hal was 20 years old, he was driving home from an event in which he was honored as one of the top salesmen in his company. He was, quite literally, on top of the world. But in an instant, his world changed. He was hit head-on by a drunk driver going 80 miles per hour. I’ll spare you the gory details of what happened next except to say that Hal was clinically dead for 6 minutes, and remained in a coma for the next 6 days. Hal didn’t think he was going to get hit by a drunk driver that night. Nobody does. That’s why they call these things “accidents”. But they happen every day. And they underscore the importance of why you need several important legal documents in place to protect yourself from the unexpected. What if You don’t have these documents in place? The financial durable power of attorney is also known as simply the “durable power of attorney”. This is a document that allows you to appoint an agent to make financial decisions on your behalf, access you bank accounts and other important financial records, and take any appropriate action that would be necessary to manage your financial affairs. If you were to become incapacitated, as Hal was for at least 6 days, your durable power of attorney will allow your agent to use your financial assets to pay your day-to-day bills, such as your rent or mortgage, utilities, medical bills, etc. It will also allow your agent to collect your income and deposit those funds into your bank account. If you need to file your taxes or shift money around in your investment accounts, your Financial Durable Power of Attorney can do that for you as well. When will a Financial Durable Power of Attorney take effect? You can draft these documents so that they take effect immediately, as soon as you sign them. Many married couples use this form of Durable Power of Attorney so that they can act on behalf of each other if necessary – when one spouse is unavailable. Another option is to draft a “springing” durable power of attorney which only takes effect when a doctor determines that you are incapacitated. This can be problematic if your agent needs to access your accounts quickly, as you will need a doctor’s affidavit to prove your incapacity, but can also provide some peace of mind if you don’t like the idea of an immediate Durable Power of Attorney. 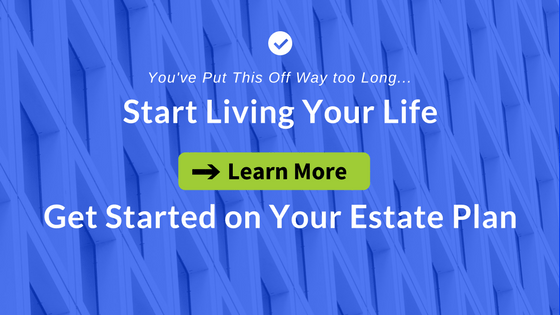 Can I get a Financial Durable Power of Attorney off the Internet? The short answer is “yes”, but you need to understand the limitations of any document you find online. A financial durable power of attorney is frequently very specific to state law, so if the document you find was drafted by a lawyer in North Dakota, it may not be very useful to you if you live in North Carolina. Many of these forms are fairly generic and many not have the appropriate language that would make them effective. 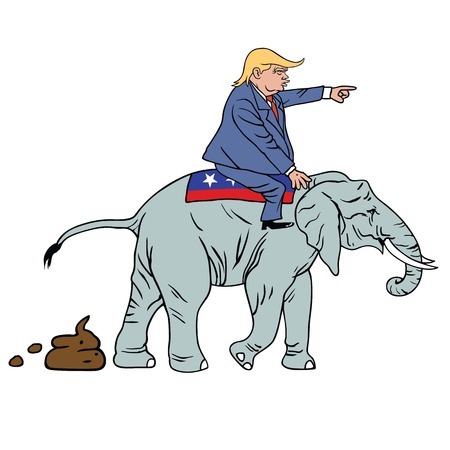 Bottom line… the document you find may not accomplish what you set out for it to do, and you won’t know this until it is already too late for you to do anything about it. This is a document that appoints someone to make your health-related decisions in the event that you are incapable of those decisions on your own. You can even authorize an organ donation and spell out when it will become effective – typically when a physician deems you are unable to make those decisions on your own. If you do not have a Healthcare Power of Attorney in place, then your family will be left to try to determine what you would have wanted them to do. This can lead to disputes and conflict at a time when you would want your family to come together for emotional support. Many times a health care power of attorney will also contain language allowing your agent to access your medical records. This is called a HIPAA Authorization and is required by the Health Insurance Portability and Accountability Act. If you draft a health care power of attorney and fail to include the relevant HIPAA language, you are basically handicapping your health care agent. This document is very similar to the healthcare power of attorney, and in many cases, they can be one and the same. However, they do differ in one main respect – the healthcare power of attorney dictates who will make your healthcare decisions if you are unable to make them. The Living Will, on the other hand, spells out what you want to happen to you in the event that you are being kept alive on life support. 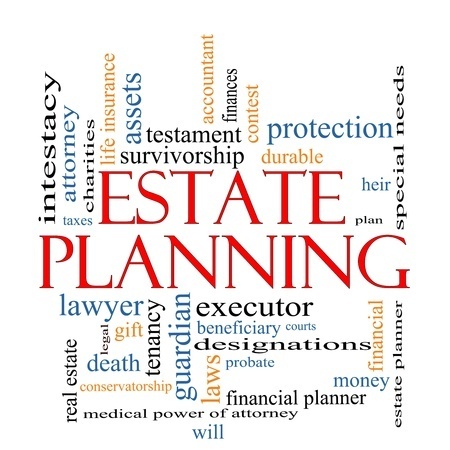 In your living will, you can dictate whether you want your health care power of attorney to make these end of life decisions for you, or whether you would prefer that your living will override your health care power of attorney. Some of the decisions that you can make in a living will include whether you would want to be kept alive on life support at all, whether you would want to receive hydration and nutrition, whether you would be an organ donor, etc. Also called a “simple will”, a will doesn’t do anything to help you until you are deceased. But it can provide you with peace of mind knowing that your belongings will be divided up among they people you want to receive them should you die prematurely. The document you need to have in place, which is absolutely mandatory if you have minor children, is temporary guardianship paperwork. This will tell the state (i.e. the police or social worker who shows up to do a well-visit on your children) who should have legal custody of your children in the event something happens to you and your spouse. Typically, this will include a document that is executed appropriately, along with a healthcare authorization, and instructions for the temporary guardian. If you have children, this is the most important set of documents you can put in place. Here at The Hart Law Firm, we will help our clients to prepare a KEAP Your Kids Safe Plan. If you don’t have a durable power of attorney, a financial power of attorney, or a living will in place, and you are in an accident like Hal Elrod was in, then your family will be stuck with the unenviable option of having the court appoint a guardian for you. This can be a lengthy, time-consuming and expensive process – especially if your family members disagree about your care. Not only will they be saddled with the grief about what happened to you, but they will also have to bear the financial burden of hiring lawyers and fighting about these decisions in open court. Nobody wants that for their families. Take the time now and get this paperwork in order. You may either contact our office at 919-883-4861 or fill out our online contact form and a member of our office will be in touch to discuss your situation with you.